Feb 13 Franchise Farms: Champion or Disrupter of Grocery Stores? Over the past few years, we’ve seen e-commerce aggressively challenge brick and mortar stores across industries. Despite this market trend, the food and grocery industries still heavily rely on in-store experiences, led by big box chains such as Walmart, Target and Costco. This is attributed to the high perishability of produce, two-thirds of which are grown in California which requires an extensive supply chain and energy intensive refrigeration sections to constantly account for losses. In the United States and Canada, around 40 percent of wasted food is thrown out by consumers according to United Nations Food and Agriculture Organization. But is it too far-fetched to imagine a world where next-gen farming solutions could one day replace brick and mortar grocery stores? As it turns out, with rising obesity rates, dwindling natural resources and a lackluster set of options for fresh produce, we may need to consider the efficacy of indoor agriculture solutions to help feed the world’s population sooner rather than later. To put this concept into perspective, it makes sense to take look closer at one of the causes of the food production problem. Across mid-America, “small-box” retailers such as Dollar General have moved into communities deemed too small to be profitable by large retailers such as Walmart. This is only possible by carrying a limited stock of prepared foods; in fact, Dollar General is now feeding more people than grocery chains like Whole Foods! Dollar General has now become one of the fastest growing franchises in the United States, but has consequently caused these rural communities to see an increase in obesity, as few options for fresh produce remain. To exacerbate this problem further, seasonal climates simply do not offer the consistent growing seasons needed to grow vegetables throughout the year due to long winters with harsh conditions. This situation may sound bleak, but we may already be well on our way to a viable long-term solution: indoor agriculture. This is a topic that hasn’t drawn as much attention as buzzwords such as “blockchain” or “automation”. However, the case can be made that indoor agriculture is, indeed, the most viable solution to the food production climate because of an ability to provide Controlled Environment Agriculture in a dynamic climate. According to Maximum Yield, indoor agriculture is a method of growing crops or plants, usually on a large scale, entirely indoors. The primary challenge of indoor farming is that many of these facilities require skilled engineers on staff to maintain these complex operations, and plant scientists to ensure the biological needs of the plants are met. Although the massive vertical farms of the world are cautious to not share information about their margins, it can only be assumed they are around 4–5% at best. Without the agricultural, reduced energy rates, it is unlikely any of these facilities would be profitable at all with the exception of specialty crops. Many US companies have access to state-level agricultural energy pricing which can be as low as $.015 per KWH. Residential americans pay almost 90% higher rates or $0.12 per KWH. They are directly competing with farm gate pricing in order to maintain positive cash flow in a complex supply chain that must account for the margins of growers, processing/packaging facilities, and ultimately the retailers. The digital revolution has provided transparency by immediately tracking outbreaks of foodborne illnesses to the source. This will result in more costly outdoor growing operations, which will be required to be equipped with sensors to monitor environmental conditions and alert the growers when pathogen outbreaks occur. The implementation of sensors and computer controlled apparatuses is tantamount to a controlled environment farming operation. Therefore, decentralized, indoor agriculture is the most viable solution to bring fresh produce to the masses! Perhaps the best opportunity for vertical agriculture would be a vertically integrated supply chain, as shown by the headlines made by SweetGreen recently. The Fourth Industrial Revolution is defined by the combination of mechanical systems from the first industrial revolution, powered by electricity from the Second Industrial Revolution, given a rudimentary nervous system of digital sensors in the Third Industrial Revolution, and now a consolidation of complex tasks into a cohesive automation platform that historically required a dedicated team of experts. 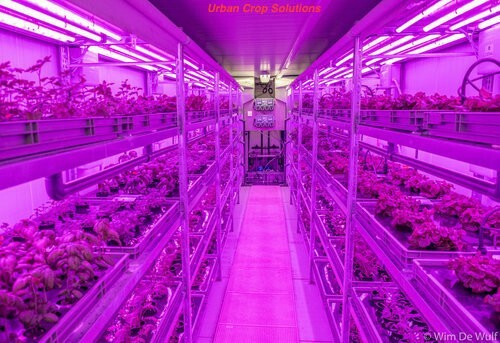 This is particularly advantageous for indoor agriculture companies that can now eliminate the largest risk factor of any growing operations, which is the human input itself. The primary value proposition of indoor farming operations is clean produce that does not carry pesticide residues. Despite the benefits of eating clean food, these chemicals are very effective at killing pests. Indoor farmers are required to follow a disciplined pest management protocol with near clean room sanitation standards to prevent a single pest from breaching the operations. Robotics can now eliminate the exposure of the clean plants to the outside world and, more importantly, eliminate the knowledge of operating an indoor farm if coupled with a computer vision system to diagnose nutrient deficiencies or pH imbalances in real-time. 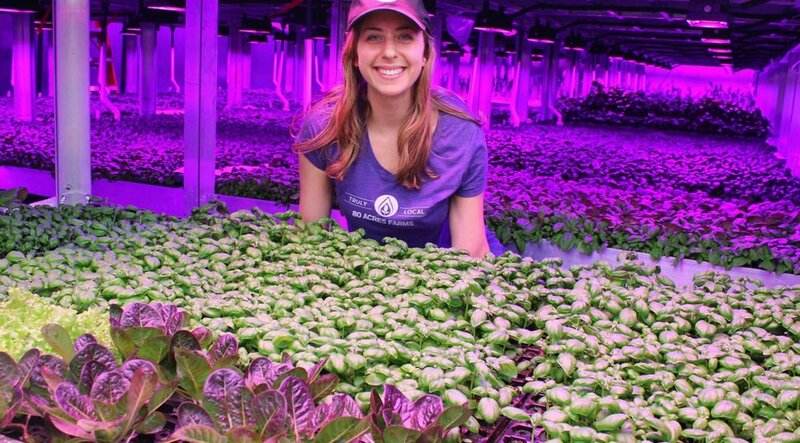 Agriculture is now being democratized into a franchise business model. This is happening now with computer vision companies such as IUNU offering a complete growing platform to provide constant monitoring of plant needs without an extensive background of indoor agriculture required. These machine learning algorithms will only become more efficient as they gather more data to refine the operational output. Another company, 80 Acres, has now secured funding to build what it claims to be the first fully autonomous, indoor farm. The future of agriculture will certainly be less human, and more like kiosk business models. Perhaps there will even be kiosk growing systems that emulate the Redbox business models which can be stationed at these Dollar General store locations or Sweet Green restaurants. History often repeats itself. Many species of produce will no longer be shipped in its final stage of growth, but instead as a zip file for food or a compostable seed pod like a keurig k cup from an automated production facility that contains all essential macro and micro nutrients with growing media for consistent yields. Our dependence on refrigeration at brick and mortar grocery stores will be greatly reduced by consuming produce directly from the source of a personal farm. They may even have the ability to learn from a user’s feedback to optimize the growing conditions to meet the their taste expectations. Keeping the plants alive until the moment of consumption will maximize the nutritional content and taste for the user which can only be assumed to increase fruit and vegetable consumption for residents across mid-America who were deemed too remote or sparsely populated to keep a constant supply of fresh produce on demand. The invention of the lightbulb made the need for oil (in the form of kerosene for lanterns) obsolete, but quickly met a new demand for gasoline in automobiles. The internet made paper mail obsolete through email, but revived the need for mail logistical services through e-commerce marketplaces more than ever. For all we know, people may re-adopt the agrarian lifestyles of our ancestors through these automated farming appliances at a consumer level in the new gig economy. Feb 13 What Is Hydroponics - And Is It The Future of Farming?